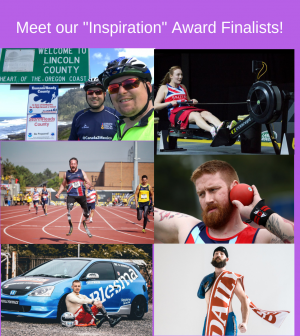 The Inspiration Award, sponsored by NatWest, is given in recognition of a person or group that has overcome significant challenges, injury or disability and whose achievements are an inspiration to others. Awards sponsor NatWest has said: “NatWest is both humbled and honoured to sponsor the Soldering On Awards in 2019. At NatWest we take our commitments to the Armed Forces seriously since signing the corporate covenant as well as achieving the gold standard with the MOD Employer Recognition Scheme. However, for us it is not just about signing pieces of paper, it is about doing what we say we will do and finding new and innovative ways to support a community that has, and continues to give, so much to the United Kingdom. “By supporting Soldering On Awards with the Inspiration Award – together we recognise those who refuse to let any barriers stand in their path. Through determination and commitment they have overcome personal challenges to selflessly support and benefit others. We can think of no better community to stand behind. David had served in the British Army for 12 years when, in 2010, he was blown up by an IED and lost both his legs. Despite struggling with the challenges of being an amputee, he has never let this get him down. No longer able to pursue his passion of boxing, David immersed himself in his other hobby: cars and racing. 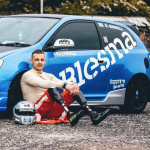 He was determined to become one of the first double amputees to race a car with no adaptions whatsoever and, with help from Blesma, he decided to take up this profession as a career. David’s first professional race took place in March 2014 in the Mazda max5 championships, where he came third in the whole championship out of 18 able bodied drivers. In 2016, with Woodard Racing Organisation, he finished second in the championship in class five, then aimed to be the first double amputee to race Spa-Francorchamps. Mechanical issues prevented a win that time, but David is optimistically aiming for Le Mans in 2022! David is an ambassador for Blesma and has raised money through different charity events. He is also an instructor for Speed of Sight charity. David inspires others to follow their dreams and has proven that being a double amputee does not get in his way of achievements. Find out more about David Birrell here. Sam Jack was seriously wounded by a stray bullet in Afghanistan in 2009. With less than a 20% chance of survival, the loss of an eye, and the prospect of never walking or talking again, the future looked bleak. 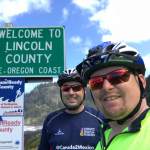 However, nine years later he has cycled 2,500 miles from Canada to Mexico with his friend and fellow veteran, Craig Craven – better known as Wes! Together they have raised nearly £6,000 for Help for Heroes, the charity to which Sam credits his recovery. They completed the journey in just 42 days – unsupported – just two guys on bikes with tents! The trip has increased Sam’s confidence and proven that anyone can still do amazing things regardless of their injuries. He has been an inspiration to many veterans at the Help for Heroes centre as it’s proven to them that, despite disabilities, anything can be achieved. Wes has supported Sam throughout this epic challenge and has been integral to the fundraising efforts. Not only have they raised a phenomenal amount of money for the charity but they have inspired staff, volunteers and other veterans from Colchester Recovery Centre and encouraged other wounded, injured and sick veterans to get back into fitness or do fundraising events. Find out more about Canada to Mexico – the long ride down, here. In 2009, when recce commander Nathan Cumberland lost both legs to an IED blast in Afghanistan, his future seemed bleak. But the determined Grenadier Guardsman has since gone from a wounded warrior to a dedicated Welfare Officer at the Defence Medical Welfare Service (DMWS), supporting other veterans whilst they are undergoing medical treatment. His transition from Grenadier Guardsman to civilian life has been an inspirational journey dedicated to helping other members of the Armed Forces community. Nathan underwent 28 surgical operations, so he knows how important it is to receive additional support during times of physical and mental ill health. He joined the DMWS team in 2018, working directly with veterans and their families and has supported 39 veterans and 26 family members in the last six months. Nathan always has a smile on his face and the veterans really appreciate the support he gives to them. He does not see his injuries as a curse, but as an opportunity to stay strong. 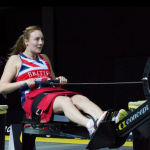 He recently visited San Francisco to trial a new prosthetic that will benefit others in the future, and his inspiring outlook and sporting determination led him to represent Great Britain twice in the Invictus Games. Nathan sees himself as an everyday guy, but to those around him he is truly inspirational for his dedication. In 2009, Dan Richards was serving in the Royal Artillery, when he was involved in a horrific motorbike accident whilst off duty. Dan had a snapped collar bone, severed brachial plexus, and numerous fractures to his left arm and ankles. After hours of surgery, his right arm and shoulder were removed. Dan was very self-conscious of his injury, To overcome negative feelings, he focused on things he liked about himself in order to change his mind-set. With this positivity came new found confidence, Dan wanted to inspire and share his confidence with others, so decided to become a model. Eager to showcase that bodies come in all shapes and sizes, he signed up with agencies, where he is challenging everyday beauty standards. He has appeared in channel 4’s #GetTheInsideOut mental health campaign and recently appeared in his first choreographed catwalk and fashion show during London fashion week. 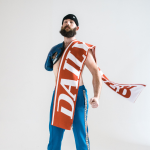 Dan is also using social media platforms to showcase this further by being very open about his body and thoughts, and has also set up his own Youtube channel to talk openly about his injury and life. In the nine years since Dan was injured, he has grown massively in confidence. He is eager to help other people overcome their own body issues, whether or not they were injured or have disabilities. He is challenging images of the ‘perfect’ body via his social media and spreading positive messages by doing so. Find out more about Dan Richards here. Luke Sinnott is a retired Captain who served with the Royal Engineers. He was injured in 2010 while working in Afghanistan, when the IED he was aiming to remove exploded. The device took both of his legs above the knee and caused severe damage to both of his arms. 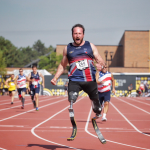 Luke has recovered from his injuries through hard work, great support and a love of sport – representing his country in Athletics – specifically long jump, both for Great Britain and the Armed Forces teams at the Invictus Games. He’s looking promising for a place in the line-up for Tokyo 2020 too! As well as training full time for future Paralympics, Luke is a pilot and trustee for Flying for Freedom, where he uses flying to help rehabilitate other Veterans. He is also a key member of the team of wounded Veteran pilots who intend to fly flexwing microlights to the South Pole in 2021. A project nearly 10 years in the making, it will set three world records if completed successfully. 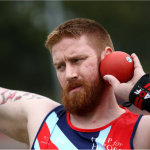 In addition to his sporting achievements, Luke is the lead Veteran for the Veterans’ Gateway and is working hard to make support for all Veterans and their families easier to access. This major project hopes to unite the military charity sector and recognise all of the organisations that help the military community. Although retired he upholds the values and standard of the British Army and is a role model to Veterans and serving soldiers. Luke was on BBC Radio Southampton on 9th January and is due to appear on Forces TV Sport. Sam was on BBC Radio Essex on 11th January. Dan was on the BFBS Radio Breakfast Show on 14th January and is due to feature in the March edition of Soldier Magazine. Various Finalists can be heard on BFBS Radio – stay tuned to catch them! Keep an eye – and ear – open for more news about these and all our superb Finalists! You can see our full list of Finalists in each category here, and don’t forget to sign up to our newsletter (if you haven’t already!) for regular updates on Finalists, Awards Night and how you can get involved!